Do you ever feel alone in your knitting? When you spend most of your time at home, as I do as a work-from-home mom, at times you might really long for community. You might wish you had someone nearby to help you figure out a pattern or show off a finished object you’re really proud of. 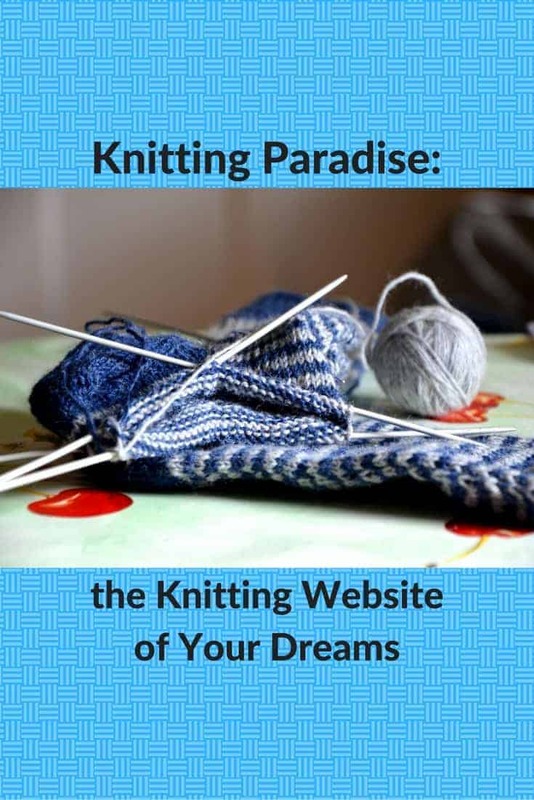 If this is you, Knitting Paradise might be just the knitting website you need. I’ve only become aware of this site in the past couple of months, but it’s been around for a very long time! An article on Knitting.About.Com says that the forum has been around since 2011, but the copyright notice at the bottom of the page runs from 2004 to 2016, possibly indicating that it’s been around even longer. But regardless of how long it’s been around, it’s a fascinating and useful website. It is, first and foremost, completely and 100% free. There are no membership dues and no cost to subscribe to its Knitting Digest (more about that in a minute). What it offers is an enormous audience consisting of well over 100,000 enthusiastic knitters (as well as crocheters). These members are willing to share their own advice, experience, and most delightfully of all, their own photos of knitting projects. 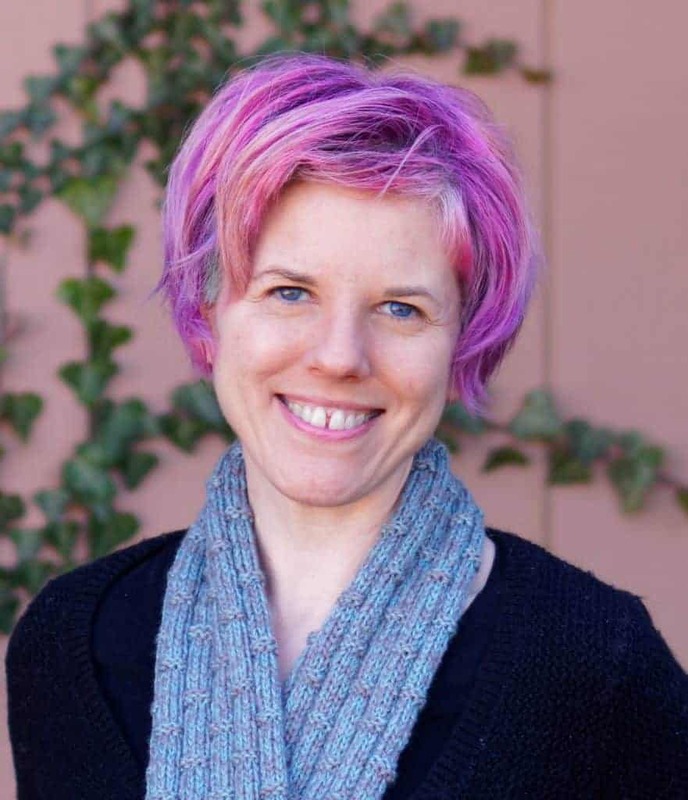 Main: If you have nearly any kind of knitting or crochet-related question or topic you’d like to discuss, this is the place to go. User-Submitted How-Tos, Patterns, Tutorials: If you need help with your knitting — how to cast on for a pair of socks, the right pattern for your very picky husband, or how to keep the edges of your project from curling, for example — this is your forum. Pictures: This is a great place to post if you’ve just finished a project you’re really proud of and you suspect no one else in your life would “get it.” It’s also a tremendous resource for when your inspiration or motivation is running dry. Machine Knitting: I’m so glad this forum exists, because in my opinion not many resources exist for machine knitting. Which is a shame because machine knitting can be a great option for folks with conditions like arthritis or carpal tunnel that make hand-knitting difficult, if not impossible. Introduce Yourself: This, of course, is where new members go to introduce themselves to the Knitting Paradise community. General Chit-Chat (non-knitting talk): You could call this the “off-topic” forum, where anyone who needs to discuss anything not related to knitting or crochet can do so. Swaps, KALs, Periodicals, Group Activities: “Group activities” is the perfect way to sum up this board. This is where knitting and crochet folks gather together for specific purposes. Obviously, these purposes include swaps and knitalongs (KALs) as well as giveaways and even virtual parties. Offline Events, Announcements, Discussions: While the activities on the previous forum are online, the ones here are all offline. Or, as some of my friends like to call it, “real-life.” (Although I’m not really sure what “real life” means… 😉 ) This is a great way to organize new knitting groups, or perhaps gather more members into an existing group. Members Buy/Sell/Trade — Classifieds: If you have something to buy, sell, or trade, here’s the place to post. Pattern Requests: Here’s a useful forum! If you saw a pattern somewhere and can’t remember where or what it was called, post here. Or if you’re looking for a particular kind of pattern and haven’t found it, check here! Other Crafts: Shockingly, other crafts exist besides knitting and crochet. (Say WHAT?) If you have a question about a particular kind of non-knitting and -crochet craft, ask here. Or if you just want to show off such a craft, post here. Designer’s Pattern Shop: Here’s where members can post their own patterns, both free and paid. So perhaps all these forums have your head spinning. This knitting website might be a great place to relax and unwind for a few hours. But you’re a busy person, and you don’t have time to meander through forums for a few hours. If this is you (and it is definitely me! ), the Knitting Digest is what you need. This is a newsletter that offers a link to the most recent posts in every forum. It’s super-easy to scroll through the list and click on whatever interests you. One of the best features about the Knitting Digest is that you can take this newsletter as often as you want. Choose from daily, 3 times a week, or weekly. You can sign up for the Knitting Digest here. So are you convinced that Knitting Paradise is where you need to be? I think if you’re longing for a knitting community, you should join this knitting website today! I heard about KP early in 2011.- what a great find! KP has members from many places – a global community of knitters, crocheters, and more supporting, encouraging and learning. I arrived a crocheter with decades of experience and thanks to the inspiration at KP, I’ve even branched out into knitting. I love KP have been a member since 2011. I have learned so much. I also run a topic called “lets talk spinning,weaving and dyeing” we have some great conversations and oh so much on all the topics with some very talented people. If you want to learn how to spin, weave or dye this is the place to be after browsing through KP for all the knitting and crocheting topics come join us bring your coffee or tea be shore to check out all of our posts. I have been a member for a while now, there is more “nice” than “nasty” on KP, very informative, very helpful as there is always someone awake due to time zones. Would not knit without it. Now I am going to check out your site. until you have the temerity to disagree with on of the verbose and overbearing ring leaders. then you become persona non grata and every and anything you say will be jumped on by their bullying enforcers. it took me two years and getting verbally beatup several times to just give up and quit the whole thing. life’s to short to deal with these people. I’m sorry you had bad experiences. Not every community is for every person, and unfortunately sometimes disagreements can get heated, especially online! I hope you’ve found other places that you enjoyed more. Nicole, thank you for your great introduction to KP. It is part of my daily routine to check in and see what is happening in the world of knitting. I have also submitted questions and photos over the years, and I always get quick and supportive replies. It is a great community (as is yours) and I’m glad you shared it in such detail.